Image: Mike Coppola/Getty Images, Drew Angerer/Getty Images, Jim Spellman/Getty Images. Design: Ashley Britton/SheKnows. Two years into the tumultuous Trump presidency, the 2018 midterm election is shaping up to be one of the most important in history as Democrats fight to take back control of the House, Senate or both. 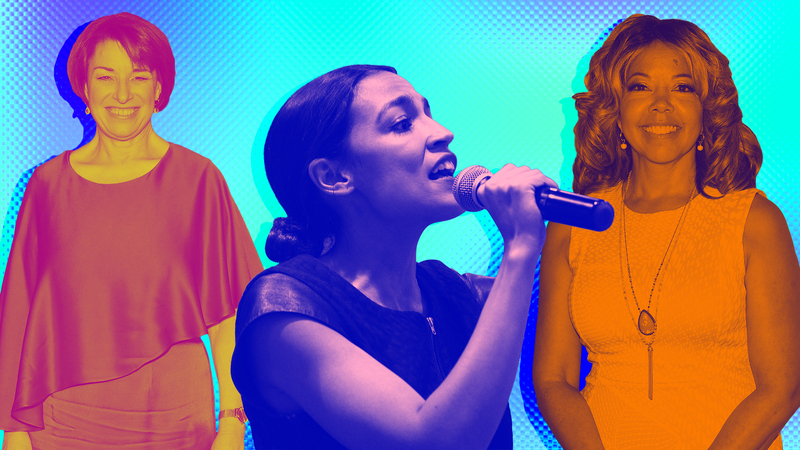 Women are running for office in record numbers, and an exciting group of rising stars has emerged — in addition to strong incumbents who may be preparing to launch bids for the presidency. 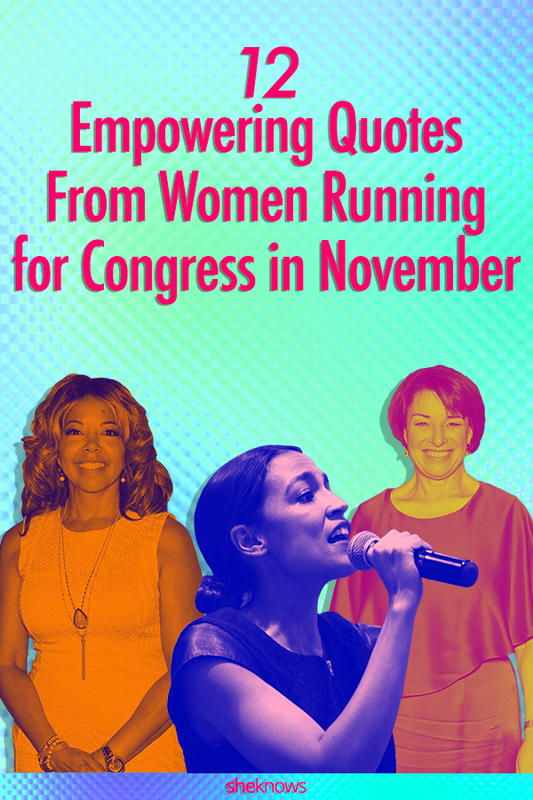 As of today, women make up just 19.3 percent of the House and 23 percent of the Senate — but that could slowly but surely begin to change starting with the midterms. When women run for office, they're just as likely as men to win. As we look toward the Nov. 6 election, women are at the forefront of a number of key congressional races. Unsurprisingly, many of them have empowering words of wisdom. These 12 quotes from congressional candidates will inspire you to fight for what's right, and they just as easily apply to our personal lives. Image: Drew Angerer/Getty Images. Design: Ashley Britton/SheKnows. "They'll tell you you're too loud, that you need to wait your turn and ask the right people for permission. 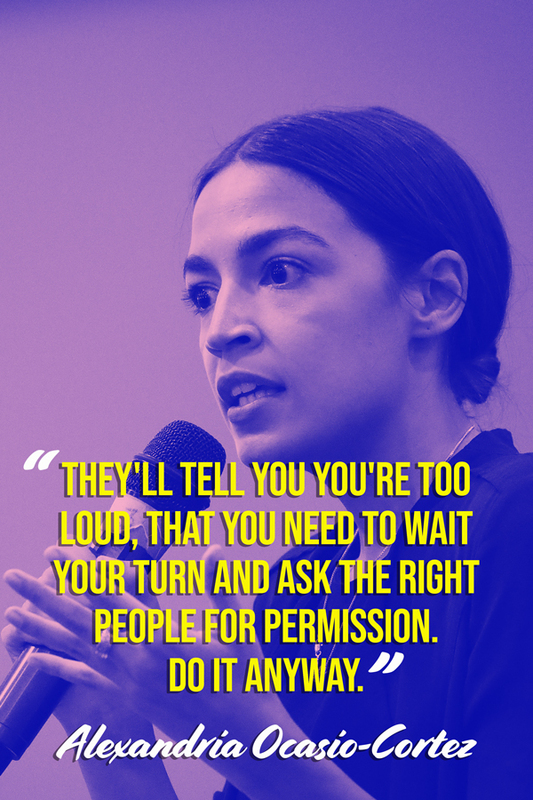 Do it anyway," said Ocasio-Cortez, who pulled off an upset victory in the primaries and defeated a 10-term congressman. Image: Bill Clark/Getty Images. Design: Ashley Britton/SheKnows. 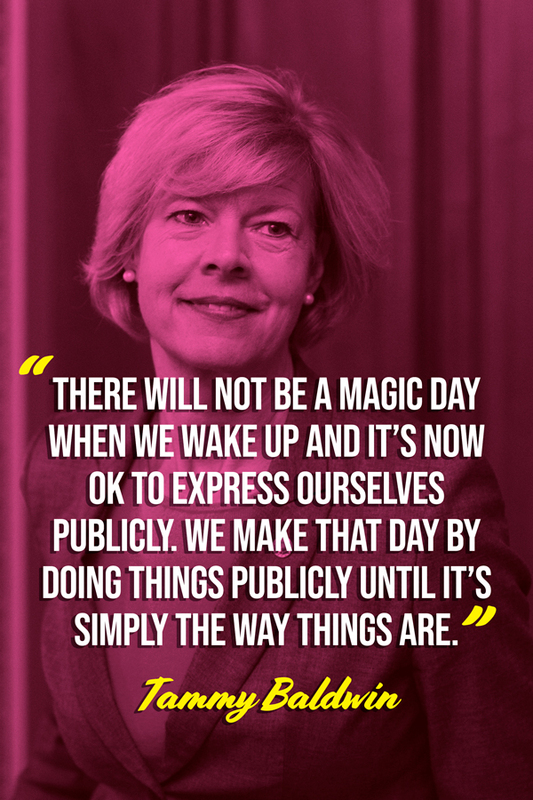 "There will not be a magic day when we wake up and it’s now OK to express ourselves publicly," said the nation's first openly gay senator. "We make that day by doing things publicly until it’s simply the way things are." Image: Bryan Bedder/Getty Images. Design: Ashley Britton/SheKnows. 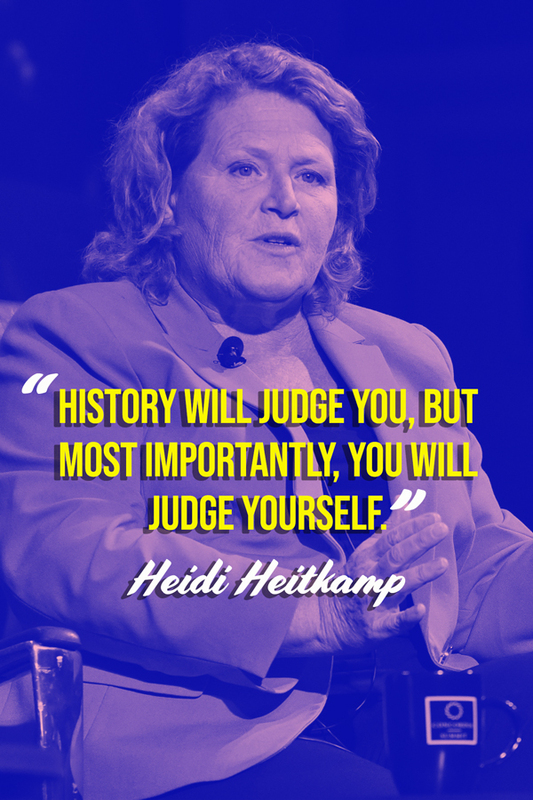 "History will judge you, but most importantly, you will judge yourself," Heitkamp said to WDAY news earlier this month, emphasizing the importance of following your conscience even when it may be unpopular. Image: Congressional Quarterly/Getty Images. Design: Ashley Britton/SheKnows. "Personally and professionally, I’ve seen that talent is universal and opportunity is not. And I know that as somebody that is a first-generation American, somebody that was raised by a single mother and needed a little bit of help growing up," Ortiz Jones told Elle. "And by that, I mean reduced lunch, subsidized housing, all critical investments that allowed me to earn a four-year Air Force ROTC scholarship that took me from John Jay High School in San Antonio to Boston University." Image: Mike Coppola/Getty Images. Design: Ashley Britton/SheKnows. "We've got great potential in our country and the only way we're going to make sure kids are getting the degrees that they need, make sure we're getting through that red tape, is by working together," the senator said in an interview with Real Clear Politics leading up to her 2012 victory. Image: Tom Williams/Getty Images. Design: Ashley Britton/SheKnows. 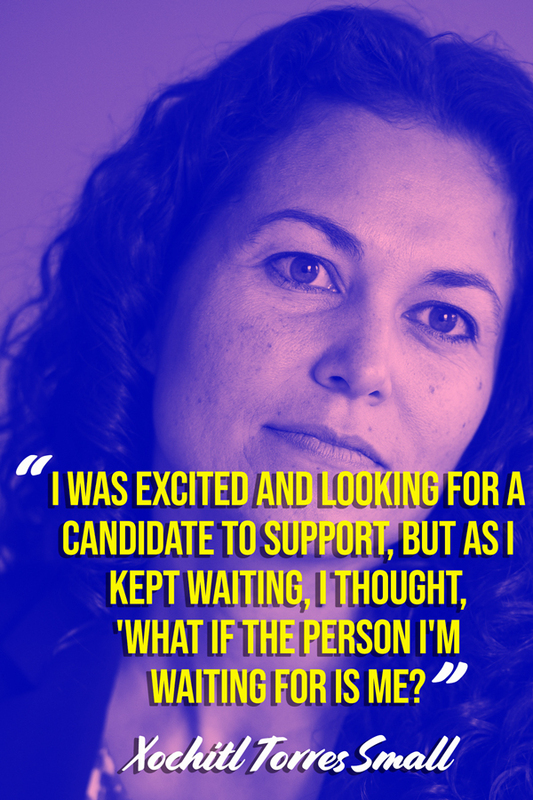 "I was excited and looking for a candidate to support, but as I kept waiting, I thought, 'What if the person I'm waiting for is me?'" Small told the media of her decision to run for the U.S. House. Image: Mark Wilson/Getty Images.Design: Ashley Britton/SheKnows. "I believe that it’s this optimism about the future that sets us apart as a people, this optimism that makes America an exceptional nation. 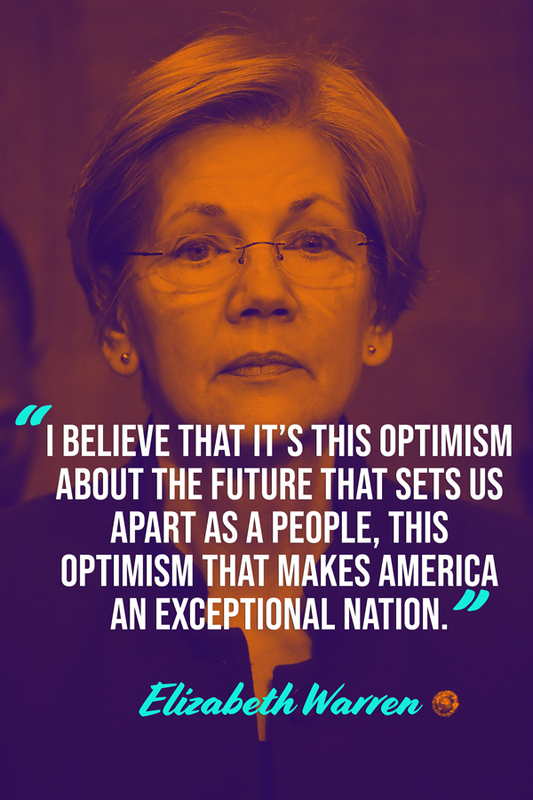 We built this country by striking out on new adventures and propelling ourselves forward on a path we named progress," Warren wrote in her book A Fighting Chance. "Along the way, we learned that when we invest in one another, when we build schools and roads and research labs, we build a better future." Image: Jim Spellman/Getty Images. Design: Ashley Britton/SheKnows. "It’s not good enough to have the marches and the rallies. 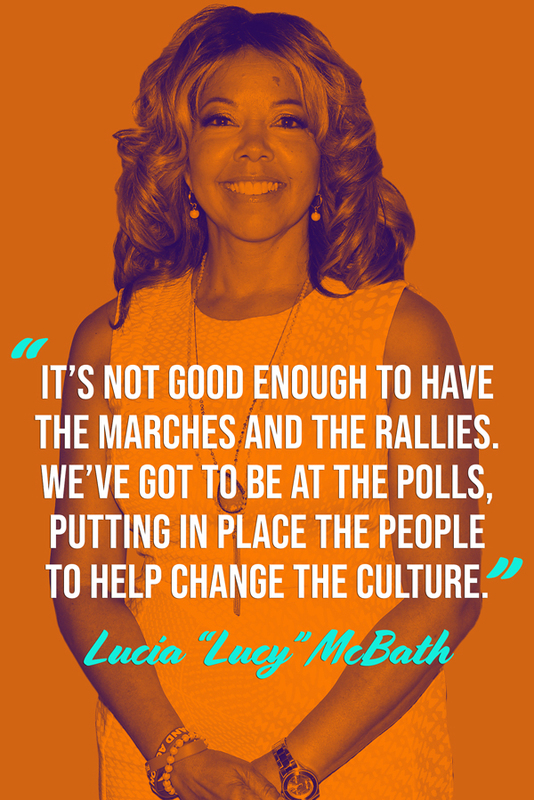 We’ve got to be at the polls, putting in place the people to help change the culture," McBath told The Grio, emphasizing the importance of showing up on Nov. 6. Image: Leah Putkammer/Getty Images. Design: Ashley Britton/SheKnows. "I started in the mailroom, literally, as an intern… in 1974. The legislator I was working for at the time said, 'I want you to get your law degree and come back here and get elected and be the first woman governor.' 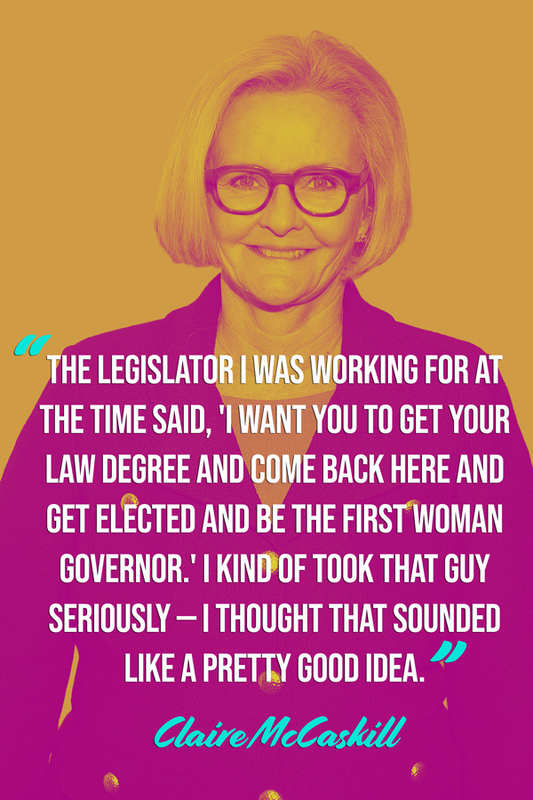 I kind of took that guy seriously — I thought that sounded like a pretty good idea," McCaskill told the Missouri Digital News, reminding us that we should never doubt our ability to work our way up to the position of our dreams. Image: Nurphoto/Getty Images. Design: Ashley Britton/SheKnows. "I feel like I’m at a point in my life where I have a responsibility to speak up for my community. We need someone who will speak to what’s happening in public education, what’s happening on our borders, what’s happening to our organized labor unions — because [of] all these people who work every day and contribute in our community and feel like they’re left out of the conversation," the former public school teacher told The New York Times of her decision to run for office. Image: The Washington Post/Getty Images. Design: Ashley Britton/SheKnows. "At the end of the day we all want the same thing. 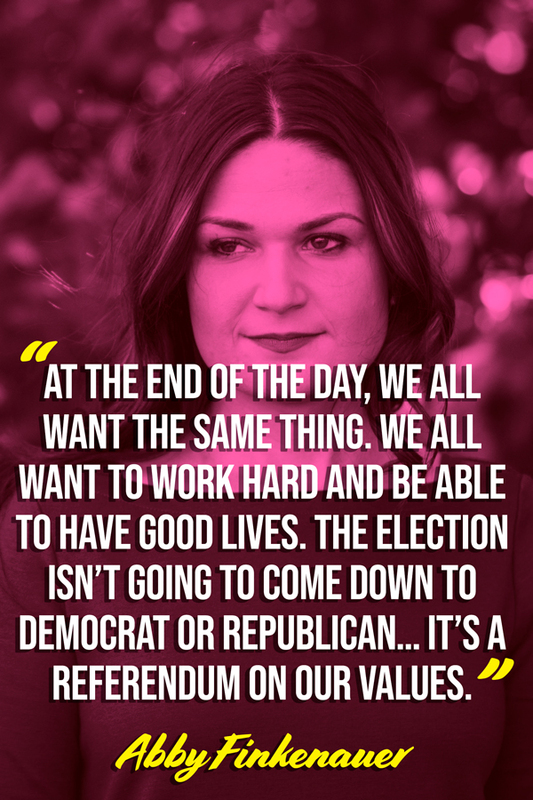 We all want to work hard and be able to have good lives," Finkenauer told The Atlantic. "The election isn’t “going to come down to Democrat or Republican … It’s a referendum on our values." Image: Astrid Stawiarz/Getty Images. Design: Ashley Britton/SheKnows. "[The Kavanaugh nomination] put women on fire,” the incumbent and 2020 presidential contender said at a Long Island town hall event. 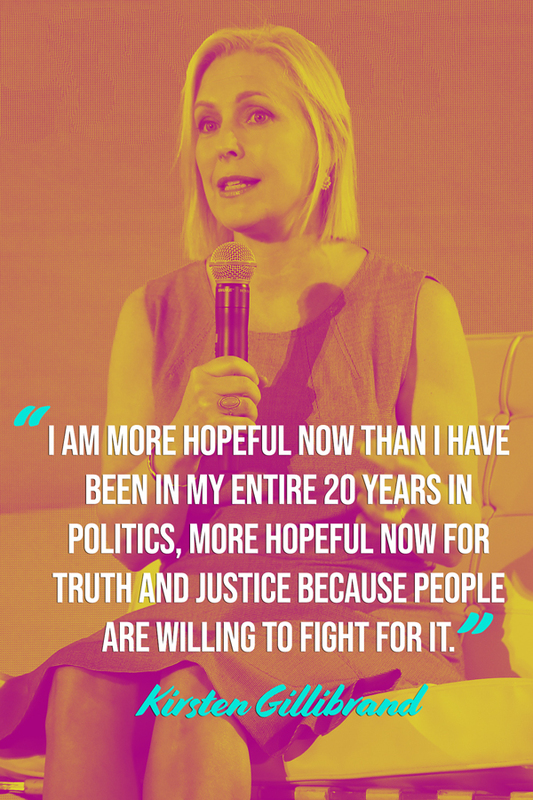 "They are so angry that their voices are not being listened to… I am more hopeful now than I have been in my entire 20 years in politics, more hopeful now for truth and justice because people are willing to fight for it." Don't forget to pin these quotes!